My favourite way of making New Year resolutions is to write down at least 10 things I want to do over the following year. The idea behind this is that with a lot of goals you have a good chance of achieving at least half of them by the end of the year. I usually find it works quite well. In 2009 I achieved five out of ten ambitions and in 2010 I managed to achieve seven out of 10. How did I do in 2011? Well, I managed to achieve about half of my New Year resolutions, although in some I only barely succeeded. Here's exactly what I achieved, what I attempted, and what I failed to do completely. My first resolution was my first failure, as I only managed to interview two people on my blog; author and creator of the Fallen Angel Oracle Cards Nigel Suckling and ghost hunter Christian Jensen Romer. Success! Six of the pagan or occult sites that I visited were Chalice Well in Glastonbury; Glastonbury Tor; Avebury stone circle; Silbury Hill, which is near Avebury; a long barrow called Hetty Pegler's Tump and London's Highgate Cemetery. 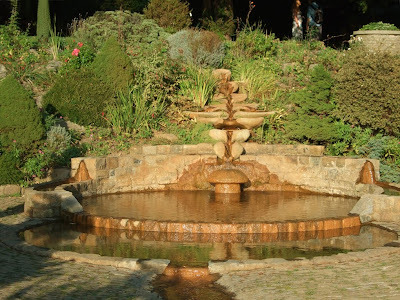 The picture at the top of the page shows the waterfall in Chalice Well Gardens. I definitely succeeded with this one. Here are a few reviews of some of my favourite pagan books of 2011: The Source; Herbs of the Northern Shaman; Paganism: A Very Short Introduction; Avebury Cosmos; The Green Wiccan Book of Shadows and Earth Wisdom. This resolution is one I thought I hadn't achieved until I looked back at my blog over the year and found I had just about done it. I wrote about mooncakes that are eaten at the Chinese Moon Festival in September. I had intended to blog about a different type of mooncakes - biscuits in the shape of the moon that are often eaten by Wiccans as part of esbats, which are rituals to honour the moon. Chinese mooncakes do fit the bill though. Other magical or seasonal recipes I wrote about, at least in passing, were haggis, pancakes and purple splodges. 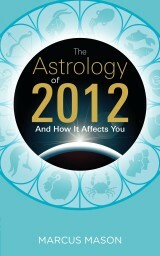 Although I wouldn't say I've learnt nearly as much about astrology as I would like to know, in 2011 I reviewed two books on the astrology relating to 2012: The Future in the Stars and The Astrology of 2012. I've also been using The Astro Diary, which has been very useful in teaching me more about the significance of the stars and planets. I've still got a lot to learn though, and this resolution is likely to continue into my list for the coming year. Although I haven't yet got anything that really deserves the title of 'the perfect ritual robe', I have been looking at both ready-made robes and patterns. My search continues. However, I was given a rather lovely long black velvet hooded dressing gown as a Yule present that might just do as a warm and snugly robe to wear in rituals in the meantime. Back at Imbolc in February, I took part in a ley line pilgrimage from St Paul's Cathedral to St Bride's Church along part of the St Paul's Ley Line, in London. It was only a short walk, but I think it still counts as a New Year resolution success. Erm, no. I have written a complete full moon ritual, and run it with a group of friends. It was what is generally called an 'open ritual' by Wiccans, meaning that doesn't contain any secret stuff that only initiated witches should know. However, it needs a bit of rewriting before I'd feel happy to publish it, so you'll have to wait a bit for that. In the weeks before Halloween, or Samhain, I ran a competition to win a copy of the collected ghost stories of MR James. They are great classic tales of terror, and well worth reading even if you didn't win a free copy of the book in my competition! Back in April I created a new mast head for my blog, with a picture of the moon behind the words. I think it is an improvement, so that's another resolution success. Over the weekend I'll be thinking up my list of New Year resolutions for 2012, and posting them up on a Bad Witch's Blog around the start of January.